In the heart of Shriwardhan, Savli Resort is the perfect place for arranging group picnics, team building getaways or simply a weekend retreat. If the beaches along Srivardhan are marvelous then the adventure sports available at the Kondivili beach are out of this world. Situated at almost 4-5 km from Srivardhan the Kondivli beach simply refuses to be faithful to the general definition of a beach. The long soft white sand beach has been remarkably spruced up to realise the dreams of every Water Sports adventure buff. Kondivili beach is just the option if you are wondering how it feels to cut the waves at 100 mile an hour or Para glide on the surf or even surfing on the clear water waves of Kondivili. The adventure doesn’t start at the beach actually, one has the option of trekking down the lovely cliffs of Shriwardhan. Shriwardhan is the place for seafood lovers and adventure buffs. Tourists can enjoy different varieties of seafood in this beach. Adventure lovers can go out with a small boat to explore the place where Peshwas were originally resided. This place is known for its gentle winds, soft sands and inviting waters. 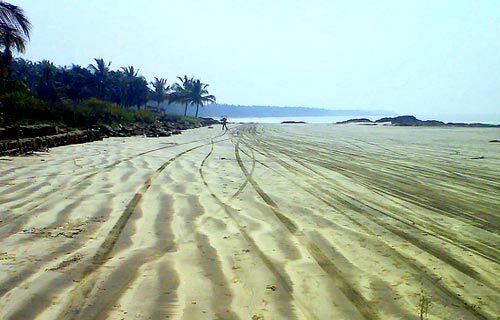 The tranquil and picturesque beach is the speciality, which Harihareshwar is known for. This place has famous Kalbhairav Shiva Temple. Peshwa Smarak and Bankot Fort at Bagmandala is only about 4 km away from here. Shriwardhan – Harihareshwar is nearly 200 km away from Mumbai. 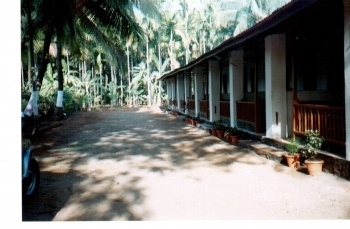 The nearest Mumbai-Goa highway point is about 60 km at Goregaon, which is about 170 km from Mumbai. The nearest airport is at Mumbai, while the nearest railway station is at Mangaon. State road service operates buses regularly to this place. Tourists can stay at the resorts located near the beach.